This versatile part Arabian gelding is out of Catherine’s favourite home bred mares – Tathren Hannah. He is a bigger version of his fantastic mother. 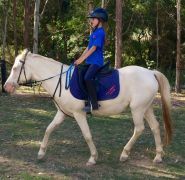 He provides our pupils with smooth paces, and a wonderful attitude. 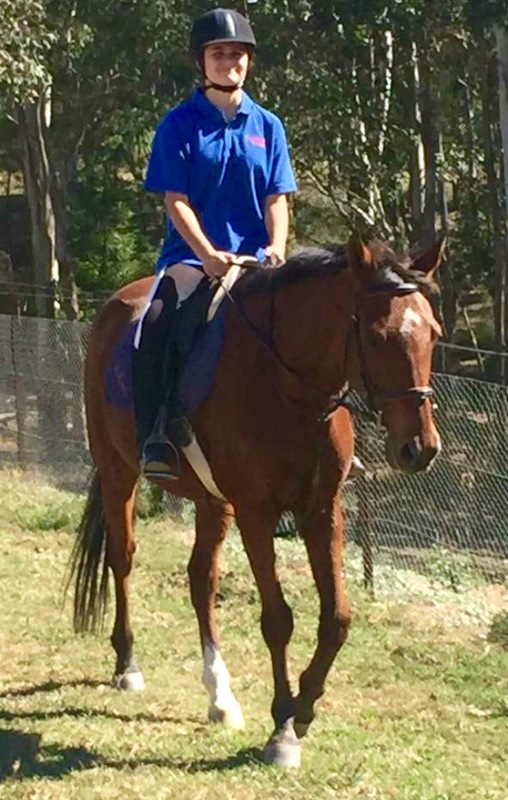 A lovely ride – just a good honest horse. He is certainly a confidence booster! 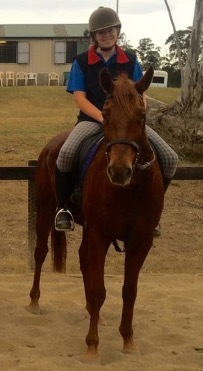 Tyson is an absolute gentleman under saddle. This reliable thoroughbred gelding has been a foundation member of our school, and has taken many pupils to their first shows and dressage competitions. 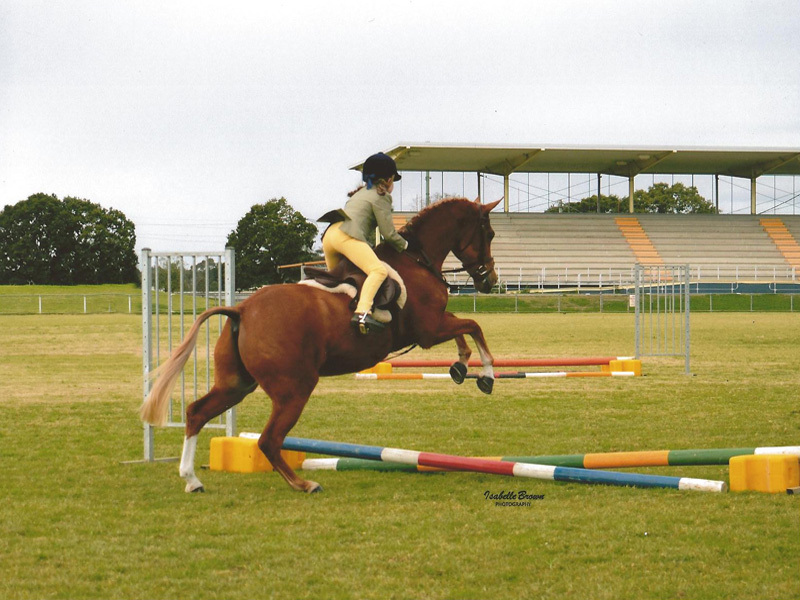 He was a very good competition horse in his early years. He provides our adult and teenage pupils with a quiet and co operative mount. He is excellent for nervous pupils returning to riding……or just beginning to learn how to ride. 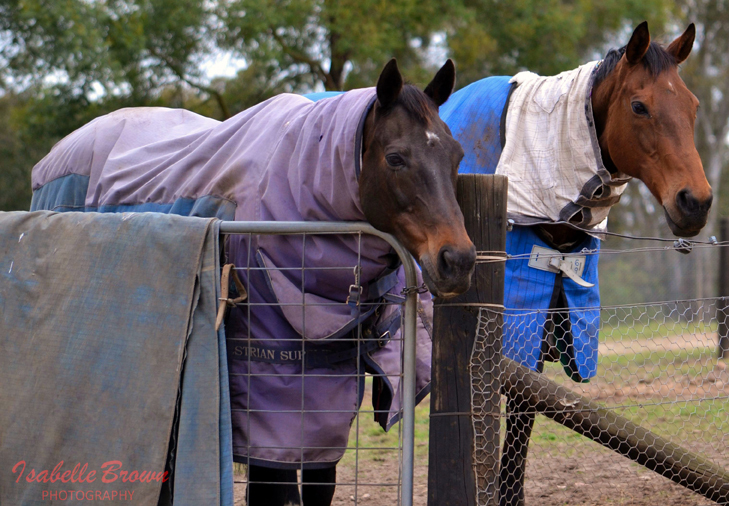 Ned is an athletic thoroughbred gelding and a keen jumper. He is excellent for pupils who enjoy a willing and reliable mount. 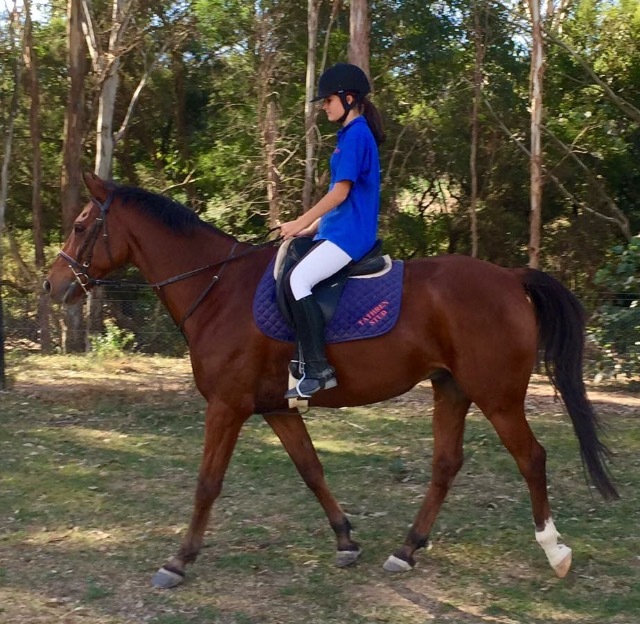 This shimmering bay gelding is certainly an asset to our school, and was also a successful racehorse last century. 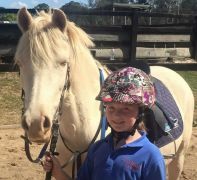 This awesome Arabian pony needs no introduction on the state and national show circuit; however he earns an honest day’s living being a vital member of our riding school. 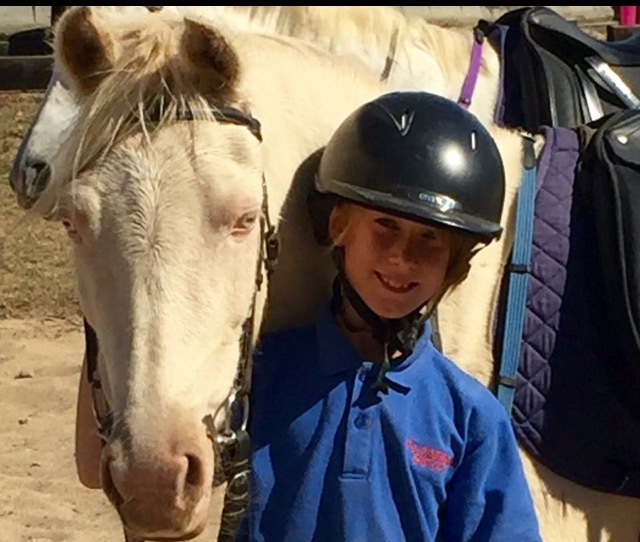 Pupils just love riding this co operative superstar that they see in horse magazines. He has won everything! 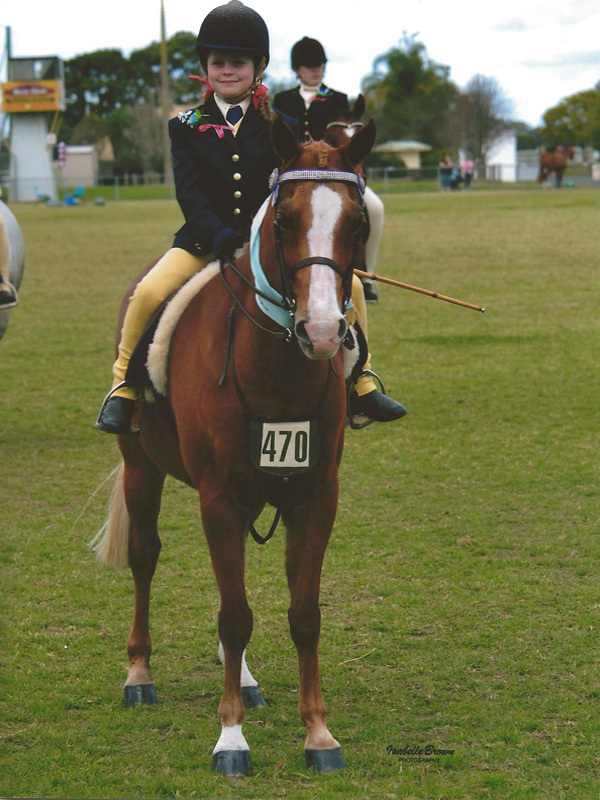 He is a wonderful pony and we feel privileged to have crossed paths with this superb equine. 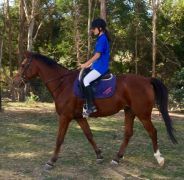 He is always in hot demand for our pupils to ride him in shows. Shahzam also featured on an episode of Playschool. 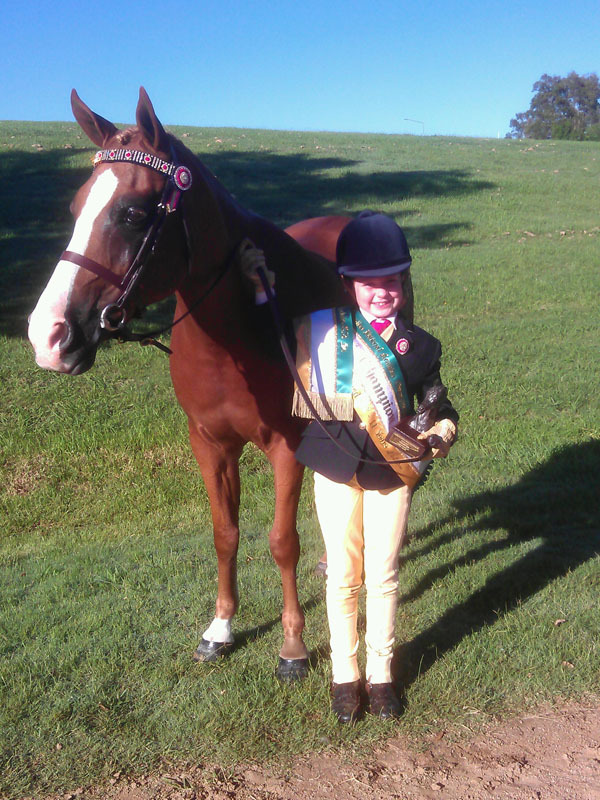 Southbrooke is a 1998 Chesnut thoroughbred mare. 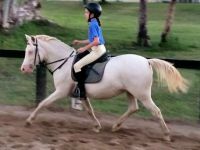 She has the most beautiful floating paces and is extremely comfortable to ride. 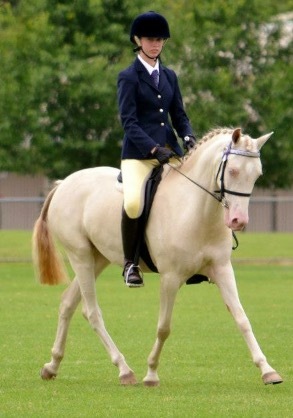 She is a riding school favourite and can be seen in group lessons alongside her son, Heindz. Tathren Caramel Latte is a 2008 perlino Arabian pony mare bred here at Tathren Stud. 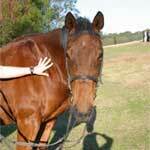 She moves like a big horse, and is a very comfortable and obliging mount. 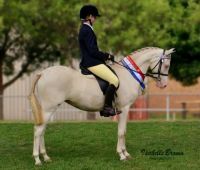 She was a very successful show horse before taking her place in the riding school. 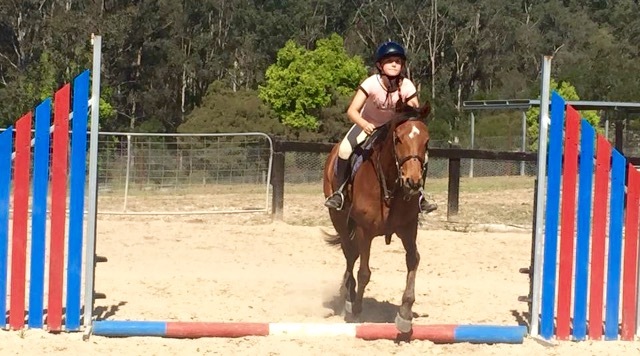 She enjoys doing lessons with her mother, Mallawa Park Passion. Latte is very popular with our younger riders. 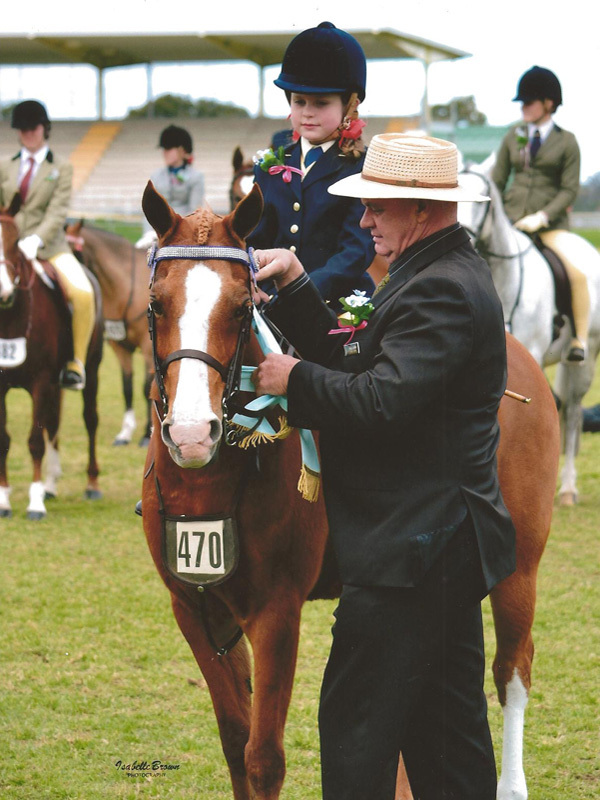 Heindz is a stunning Tathren bred Chestnut 2008 thoroughbred gelding. 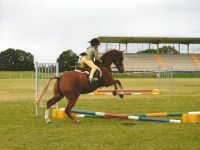 He has lovely paces and enjoys lateral lessons. His striking looks certainly draw him attention here at Tathren.